Across February and March 2017, Gap Filler hit the road in the North Island and then the South. 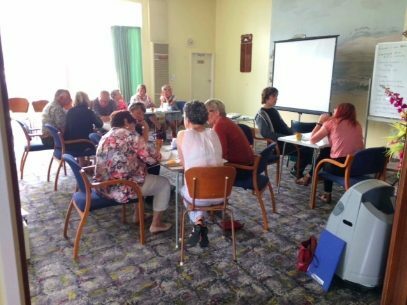 Co-founder Ryan Reynolds gave talks, met with local community groups and Councils, and ran a wide range of workshops in Wellington, Lower Hutt, Patea, Opunake, Auckland, Gisborne, Napier, Dunedin, Mosgiel, Invercargill, Winton, Nelson, Stoke and Greymouth. 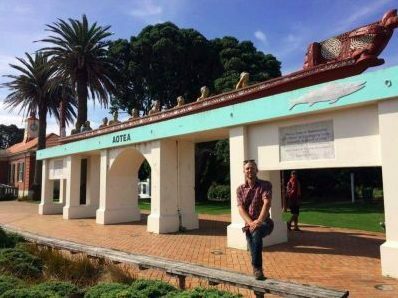 Many towns around NZ are increasingly showing an interest in ‘placemaking’, creating better public places and civic amenities by involving the community in the process more. The workshops were held with a range of teams within Council, exploring ways to increase community participation and grow civic pride. We also ran a couple of sessions with elected Councillors and Mayors, discussing placemaking governance and ways of mitigating risks whilst empowering communities. We ran quite a few workshops with local community groups, always with an aim towards developing a sense of shared purpose and spirit of collaboration – trying to hatch new projects that are collectively owned and delivered by a range of new and existing community groups. And we gave a couple of very specific workshops, addressing a pressing local issue or particular site identified by Council, and how a small-scale placemaking project might form part of the solution. Participants learned about Gap Filler’s practice and how we’re involved in urban transformation strategies with community, government and private sector partners. Ryan shared the lessons and experience of Gap Filler maturing from a creative and grassroots disaster response initiative, into an established and thriving organisation working on large-scale and long-term citymaking projects.